A poem written on the wall of a cellar by an unknown Jewish victim in a Cologne concentration camp during World War II. I followed all of the rules. Man’s and God’s. And you, you followed none of them. And they all loved you more. 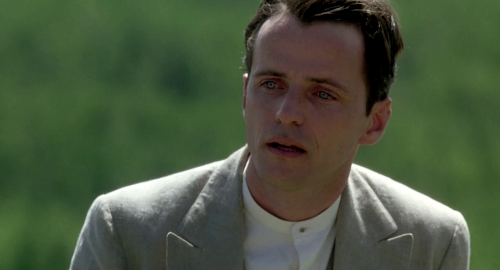 Alfred (Aidan Quinn) in Legends of the Fall (1994), adapted from the novel by Jim Harrison. With a violent drunken priest, a simple-minded idiot and an eccentric housekeeper as company, Father Ted Crilly had quite the supporting cast. Affectionately able to mock Catholicism, Ireland and small town characters, there may well never be a sitcom like Father Ted. Father Ted: His note from the bishop said they never really found a suitable place for him… he’s not a very nice man, is he? Father Dougal: God, Ted. I’ve never met anyone like him anywhere… who would he be like – Hitler or one of those mad fellas. Father Ted: Oh, worse than Hitler. You wouldn’t find Hitler playing jungle music at 3 o’clock in the morning. 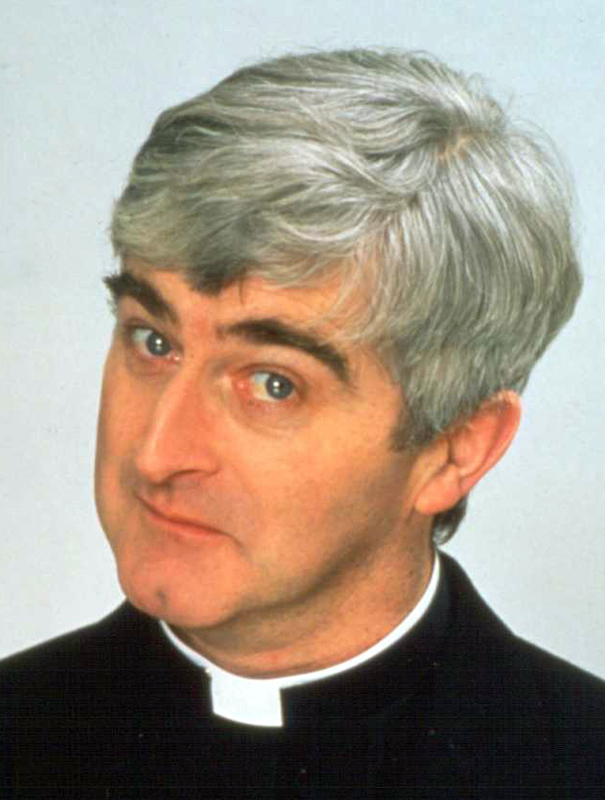 Father Dougal: Who would have thought being hit by lightening would land you in hospital? Father Dougal: Well it’s not usually serious is it Ted. I mean, I was hit by lightening a few times and I never had to go to hospital. Father Ted: Yes Dougal, but you’re different from most people. All that happened to you was that balloons kept sticking to you. Father Ted: No… no Dougal, that’s us. That’s Catholicism you’re talking about there. Mrs. Doyle: There’s always time for a nice cup of tea. Sure, didn’t the Lord himself pause for a nice cup of tea before giving himself up for the world. Father Ted: No, he didn’t, Mrs Doyle! Mrs. Doyle: Well, whatever the equivalent they had for tea in those days, cake or something. And speaking of cake, I have cake! Father Ted: No, thanks, Mrs. Doyle. Mrs. Doyle: Are you sure, Father? There’s cocaine in it! Mrs. Doyle: Oh, no, not cocaine. God, what am I on about? No, what d’you call them. Raisins. Father Ted: I’m not a fascist, I’m a priest. Fascists go round dressed in black telling people what to do, whereas priests… er… More drink! Father Ted: Hmmm? I suppose so. Mrs. Doyle: You do like pheasant, don’t you Father? Father Ted: Pheasant? I love pheasant. Mrs. Doyle: Well there’s a little clue. The thing you’ll be eating likes pheasant as well. Father Ted: The holy stone… It must be even holier than we thought. Perhaps it’s something to do with that fellow who came over from England last year. He touched it – and he grew a beard! Father Dougal: Wow. Weird. That’d be nearly enough to upgrade it to a Class 1. Father Ted: Ooh, Class 1’d be very rare. That’d be bringing people back to life… time travel… cloning dinosaurs… Very rare. Father Ted: Dougal, you don’t think I offended those Chinese people? Father Ted: Well he’s the last person you’d expect to turn up. That was a million-to-one chance. God, he can fairly move in that wheelchair when he’s angry.